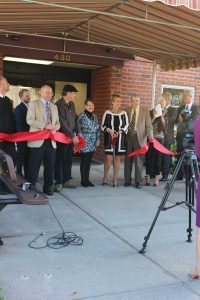 Elizabeth Square Apartments Project Completed/Ribbon Cutting Held | Liberty Affordable Housing, Inc. The renovation of this 85 unit senior property in Waverly New York finished on schedule and on budget. Work scope included new roof, new common area flooring, new laundry, updates to all 85 units including new kitchens and baths. 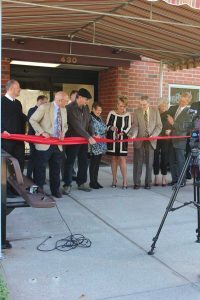 Funds were also secured to provide the branch of the Waverly Library which is located within the Elizabeth building new carpet, paint and furniture. Work was completed in September 2017 and the project dedicated October 25th ,2017 with state and local officials and many residents in attendance.